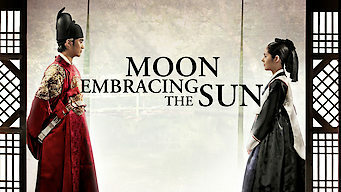 How to watch The Moon Embracing the Sun: Season 1 (2012) on Netflix France! Yes, The Moon Embracing the Sun: Season 1 is now available on French Netflix. It arrived for online streaming on January 2, 2019. We'll keep checking Netflix France for The Moon Embracing the Sun: Season 1, and this page will be updated with any changes. Years after she's assumed dead by the palace, a young noblewoman, now trained as a shaman, returns to court to reclaim her rightful position as queen. She's back from the dead, with the spirits on her side. But will that be enough to claim what's coming to her? Season 1 of The Moon Embracing the Sun has 20 episodes. Because different Netflix countries have different availability for episodes, you'll need to check the episode listing below to see which are available in France. Young Yeon Woo, the daughter of a noble family, attends a ceremony honoring her brother at the palace, where she runs into Crown Prince Hweon. Yeon Woo's brother, Heo Yeom, is appointed to teach the Crown Prince, who does not welcome the new teacher. Meanwhile, Queen Yoon plots a conspiracy. 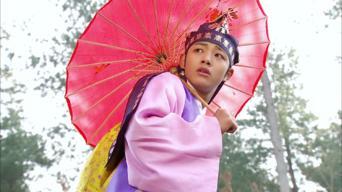 Nok Yeong senses an aura from the two girls at the palace; Queen Yoon orders her to read their fate to see whether one will marry the crown prince. 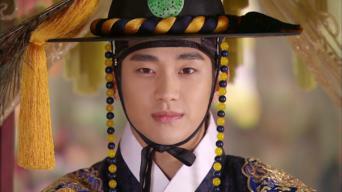 Yoon Dae Hyeong's clan begins its plan to make Bo Kyung the owner of Kyo Tae Palace. Hweon asks Yeon Woo to submit her name to be the prince’s wife. As Yeon Woo begins the training she will need as the crown prince's wife, Queen Yoon orders Nok Yeong to put a debilitating spell on Yeon Woo. Having accepted a great god to become a shaman, Yeon Woo loses memories of her past due to the shock. Meanwhile, Bo Kyung becomes the crown princess. 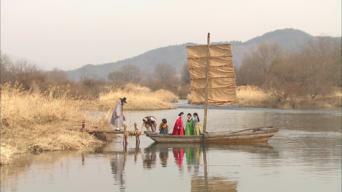 Despite Nok Yeong's warning that she avoid strangers, Yeon Woo heads out to the streets when she learns that the king will be visiting the village. 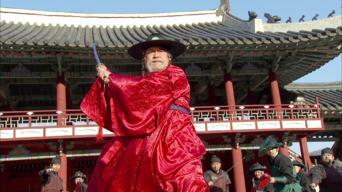 After nearly being rescued by a disguised Yang Myung, a captive Weol is dragged to the palace to act as a human talisman for Hweon. Hweon wakes up and furiously commands Weol to name the person who ordered her to spy on him. 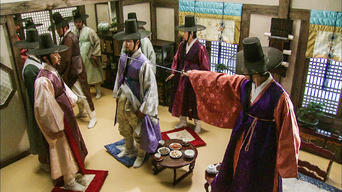 Bo Kyung is uneasy that a shaman serves the king in bed. Hweon orders Hyung Sun to bring in the royal doctor to treat Weol. Bo Kyung is distraught by the relationship between Hweon and the shaman. 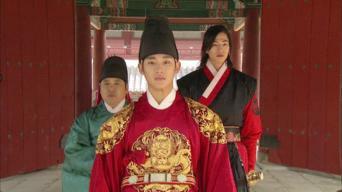 Yang Myung stops Weol going to the king's quarters and confronts Nok Yeong. Her warning to not become closer to Weol leads to an argument. Yoon Dae Hyung tries to find out the reason of Hweon's secret inspection. Bo Kyung learns that the date of consummation is only three days away. After Hweon faints before consummation with his queen, a humiliated Bo Kyung conspires to charge Weol for practicing witchcraft and defame Hweon. Weol is sentenced to exile, while Hweon loses his leadership to bureaucrats. He visits Weol in jail and, hiding his heart, commands her to leave him. Yeon Woo asks Seol about the situation when she was blessed to become a shaman. Woon dismisses the army keeping Yang Myung at his house. After meeting shaman Weol, Bo Kyung becomes terrified thinking that Yeon Woo has been resurrected. Later, some news from her past shocks Yeon Woo. When burglars come to the Infirmary and attack Yeon Woo and Yang Myung, Woon and Hweon guard her. Yang Myung flees from the burglars with Yeon Woo. Princess Min Hwa is pregnant after a long wait and goes to the palace to give Hweon the happy news. Hweon speaks to the queen of his final decision. Street posters convict the king for having a shaman in his bedroom and the clan of Yoon for having murdered the previous crown princess. When Yoon Dae Hyung's private army surrounds Hweon and his retinue, Yang Myung finds himself on the verge of killing his brother.